Basic information on the types of cleaning often used when preparing metal parts for handling or finishing. Options when selecting solutions for enhanced adhesion, improved corrosion and blister resistance, and reduced interactions. How to recover your process solution, remove contaminants to greatly extend solution life, or safely discharge effluent. 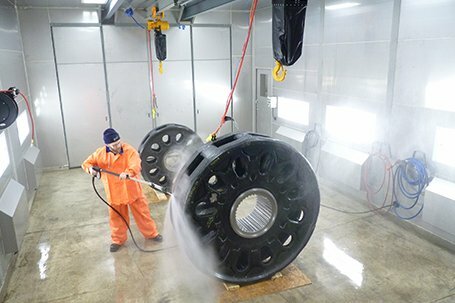 Cleaning and pretreating parts in production, metal pretreatment prior to painting, powder coating, and plating operations all share one requirement: efficient solution application, superior rinse and recycling. Riveer offers wash and recycling systems to accomplish these tasks quickly, effectively and safely. Riveer pretreatment, washing and degreasing systems are engineered to efficiently use and recycle your preferred cleaning solutions, be it a degreaser or phosphate, zirconium, nano. . . you name it. No propriety chemicals required. Use what’s best for your process. . . and your pocket book. . .with Riveer Pretreatment and Metal Parts Washing systems. The Riveer line of Pretreatment Systems spans the requirements of today’s compliant manufacturing operations. 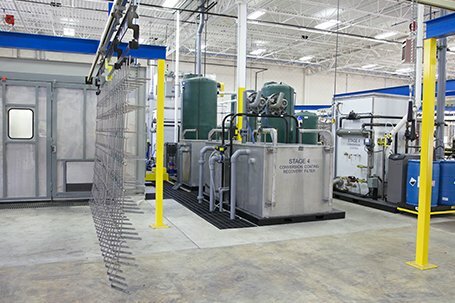 Our process capture, treatment and recovery systems are designed to optimize water and water-based solutions to clean, degrease or pretreat just about every part used throughout your facility. 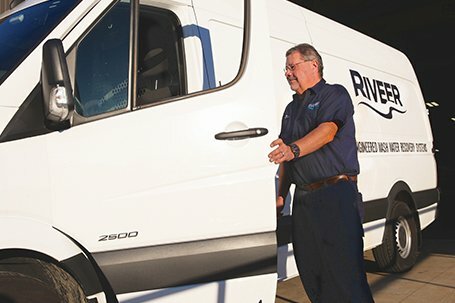 From manual spray wand (pressure washer wand) processes to fully automated wash systems, Riveer’s experienced engineers and salespeople can help save time, resources and chemicals while also improving production rates, process repeatability, part cleanliness and operating within a zero-discharge environment. 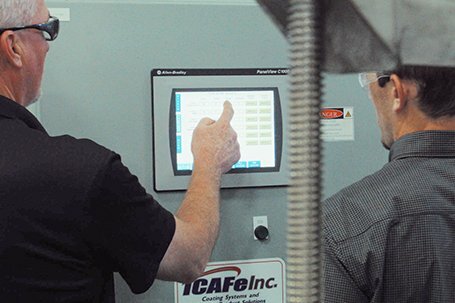 Automated Pretreatment Systems offer repeatable, predictable multi-stage performance. Manual Wand Systems are effective solutions for capturing, containing and recovery. 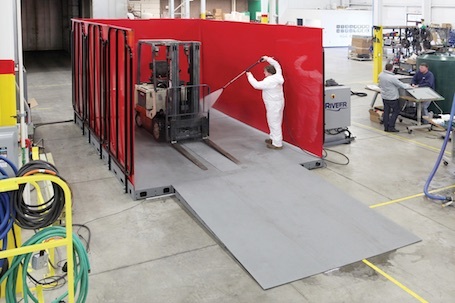 Wash Booth Systems are totally enclosed to capture process water and chemicals. 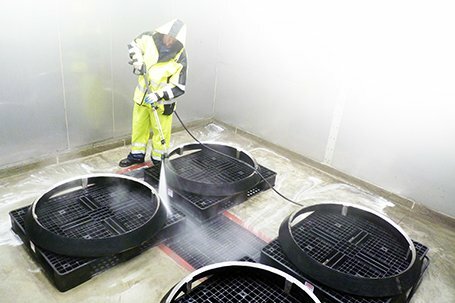 Custom Washing, Pretreatment and Cleaning Systems Built to Your Exact Requirements. Support & Training, Maintenance and Replacement Parts Helps Keep Your Line Online All the Time.